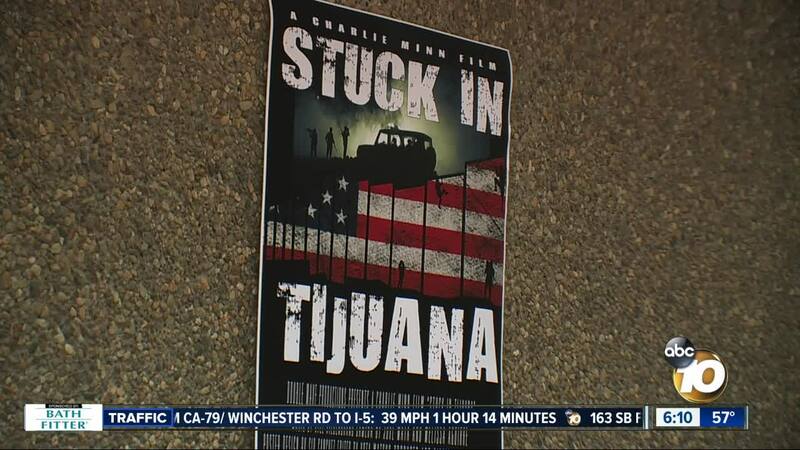 A new documentary, "Stuck in Tijuana," hopes to shine light on the reality of migrants forced to live in Tijuana while they wait to enter the United States. CHULA VISTA, Calif. (KGTV) - A documentary filmmaker is focusing his lens on migrants in Tijuana, hoping to show what life is like for migrants waiting to enter the U.S.
" Stuck in Tijuana " shows the crisis around the migrant shelters, where filmmaker Charlie Minn says he found a humanitarian crisis. "I think we've all been there in life, at one point or another where we ask for something, a job, a relationship, a school, a career," Minn says. "The migrants are asking for acceptance." Minn says he found one shelter where 1,000 people were sharing one bathroom. In other areas he found children living without their parents. He adds that Tijuana's new reputation as the murder capital of the world makes things even more dangerous for migrants in the shelters. Minn spent the last week visiting college classes around San Diego to show the documentary to students. He hopes to inspire them to fight for change. This is Minn's third documentary focused on the San Diego/Tijuana border region. His first one, "Mexico's Bravest Man," profiled a police chief in Tijuana who survivied eight assasination attempts. The next movie, "77 Minutes," examined the 1984 shooting massacre in a San Ysidro McDonald's. Minn says he's captivated by the border in this area, because it's unlike any other region in the US. The movie will premiere Friday, March 22nd at the Theater Box in downtown San Diego. Showtimes and ticket information is on the theater's website .